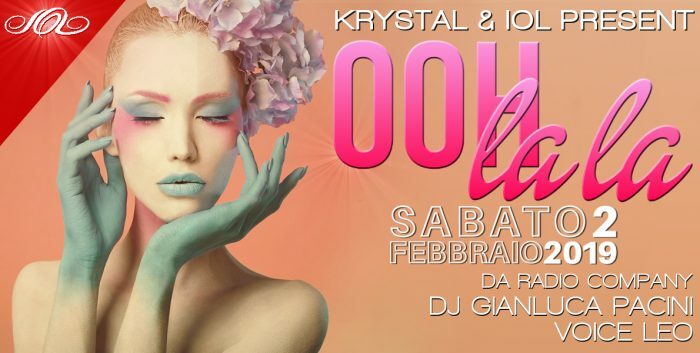 Krystal and IOL are pleased to announce the beginning of a collaboration between the most beloved club in Italy and the hot community of the moment! Saturday 2 February 2019 we will all be in Vicenza to celebrate together with old and new friends: come and see us full of enthusiasm, desire to amaze, desire to excite and get excited. Leave your usual clothing at home, because we want you to be ready to show your craziest, exhibitionist, provocative side! We will undoubtedly get a hand by GIANLUCA PACINI and LEO of RADIO COMPANY, two wonderful characters much, much over the top! And then there will be us, Sandra, Ale, and all the KRYSTAL staff to make a mess together. Let’s make it big! Must be a night to remember! For any information please contact us at info@krystal-club.it or at 331 2434209.